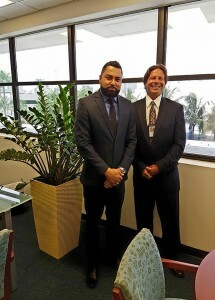 WILLEMSTAD - In connection with the sister-port agreement between the Curaçao Ports Authority (CPA) and the Port of Miami, our CCO Mr. Raul Manotas visited the Port of Miami last week and led several meetings with executives at the port. Investment models, price structures, terminal operations and key performance indicators were among the topics that were discussed. Site visits were also conducted in order to have an overview of port infrastructure projects, port operations and vessel traffic control amongst others.